2005-04-21 A6-SMR United Arab Emirates Seen BRE After repairs at HAM the aircraft flew to Bremen for a checkflight and did 3 approaches before turning right and leaving. 2005-09-05 A6-SMR United Arab Emirates Seen CLE Parked on the old runway 18/36. Will be staying for a few days while visiting the Cleveland Clinic Hospital. 2005-09-11 A6-SMR United Arab Emirates Seen CLE Departed CLE at 11:37 as Dubai 002. Maintained runwayheading (237) until out of sight. His clearance was to LEX, Lexington Airport, KY.
2005-09-11 A6-SMR United Arab Emirates Seen LEX Arrived on Sunday for the Keeneland Horse Sales. Currently parked next to the runway, and is likely to be here for the next few days while the Sheikhs are at the horse sales. 2005-09-14 A6-SMR United Arab Emirates Seen LEX Departed aprox. 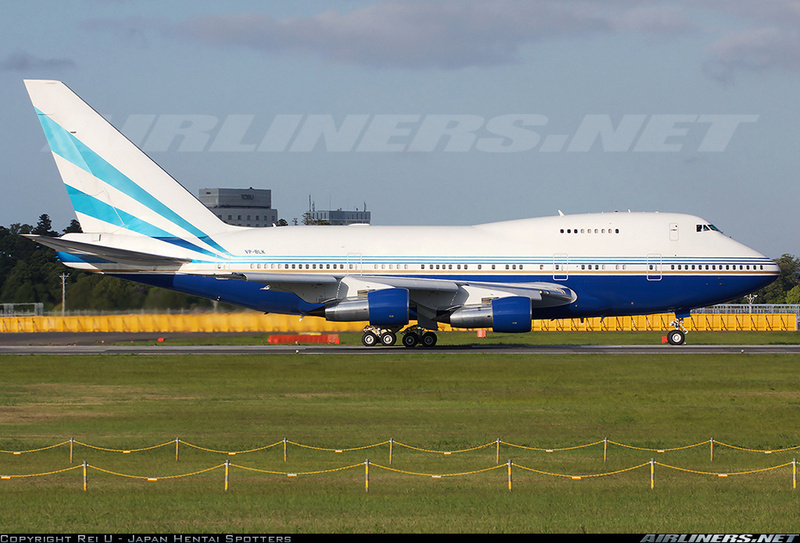 18:00 LT.
2005-11-14 A6-SMR United Arab Emirates Seen GVA Landed in the morning and left at noon. 2007-06-12 A6-SMR Seen LAS Arrived at about 14:20 LT.
2007-07-13 N992MS Seen SBD In maintenance. 2007-08-14 VP-BLK Reg Changed LAS Seen wearing new registration. 2007-08-21 VP-BLK No Titles New C/S Seen MZJ Flying the pattern. 2007-08-21 VP-BLK Las Vegas Sands Corporation Bought LAS Used as private transportation for the family of the owners and high-roller gamblers visiting their properties around the US and in Macau. 2007-08-28 VP-BLK No Titles Seen MFM Appeared at MFM twice this week. Also a B767 in same livery. This writer guesses it might be something to do with the official opening of the Venetian Casino and complex today. 2007-08-30 VP-BLK No Titles Seen TPE push back from gate for departure at approx. 15:20PM local time. 2007-09-08 VP-BLK No Titles Seen OAK Landed runway 29. Seen upclose while taxiing on Taxiway Bravo to parking at North field. 2007-09-08 VP-BLK No Titles Seen LAS Departed for SFO 7 p.m. local time. Then continued on to Incheon Korea on 9/9. 2007-10-15 VP-BLK No Titles Seen IAD Noticed it parked on the aircraft holding apron behind Terminal C/D. 2007-10-26 VP-BLK No Titles Seen LAS Been here most of the week at the private terminal close to the Strip. 2008-02-15 VP-BLK No Titles Seen FAI Watched it take off this afternoon blowing a cloud of snow off the runway as it left. -16C overcast. Beautiful aircraft. 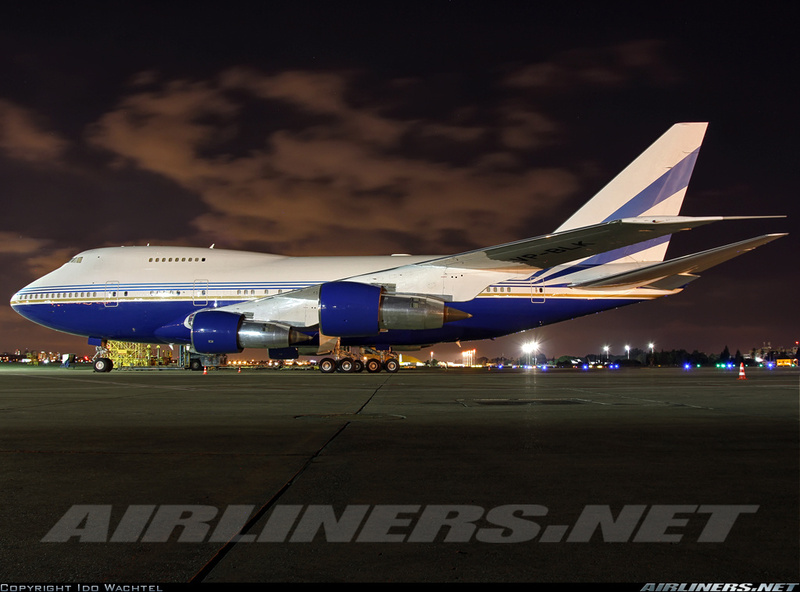 2008-02-15 VP-BLK No Titles Seen FAI Arrived Fairbanks, AK from Las Vegas, NV. 2008-04-07 VP-BLK No Titles Ferried SBD Brought to SBD for MX. 2008-05-19 VP-BLK No Titles Seen IAD Parked in a holding area. 2008-05-21 VP-BLK No Titles Seen IAD Parked beyond the C midfield terminal at Dulles. 2008-09-24 VP-BLK No Titles Seen IAD Arrived at 4:57 pm EST on runway 1C. 2009-02-07 VP-BLK No Titles Seen DMK It appears this airplane has taken up residence at Don Muang(the old Bangkok airport) with stablemate L-1011 N388LS.It was first seen there during this last week. 2009-05-05 VP-BLK No Titles Seen LAS Parked at private hanger along west side of airport. 2009-08-17 VP-BLK No Titles Seen IAD Parked on the Cargo ramp, N/W side of IAD. 2009-10-23 VP-BLK No Titles Seen RKT Parked along with L1011 N388LS. 2009-12-03 VP-BLK No Titles Seen DXB Parked at Terminal Two side of Dubai Airport. 2010-06-01 VP-BLK No Titles Seen NCE Parked between terminals 1 and 2. 2010-06-06 VP-BLK No Titles Seen BZV Parked on ramp mid-day. 2010-07-21 VP-BLK No Titles Seen FLL Parked next to the FedEx ramp from 7-9 pm. 9 airstairs were on the aircraft with the main cabin door open and the tail was lit, as well as the navigational (red and green) wing lights. 2011-02-01 VP-BLK No Titles Seen LAS Parked at the Sands corp terminal on the g/a side of the airport. 2011-02-19 VP-BLK No Titles Seen LAS Seen at LAS parked just off from the main terminal. 2011-03-07 VP-BLK No Titles Seen LAS I saw it on the tarmac as my flight was touching down to the West. 2011-07-16 VP-BLK No Titles Seen HKG Seen on ground at Chep Lap Kok international on Saturday 16th July from my arriving flight from Taipei. 2011-07-26 VP-BLK No Titles Seen ANC Seen sitting at Romeo 3. Taxied and took off at approx 18:40 AKDT. Looks great. 2011-08-06 VP-BLK No Titles Seen MZJ Scheduled maintenance. 2011-10-31 VP-BLK No Titles Seen SIN seen on apron in an outside position, maintenance crew washed the aircraft. 2012-01-01 VP-BLK No Titles Seen IFP Parked on ramp. TSA states "Owned by Sands in LV, parked at Bullhead City airport as less expensive than LAS"
2012-01-03 VP-BLK No Titles Seen LAS Around 09:30 on approach to LAS. 2012-06-08 VP-BLK No Titles Seen ONT Receiving maintenance at old International site at ONT. 2012-06-09 VP-BLK No Titles 747SP Seen ONT This has been parked at ONT for several days. It is parked next to the international terminal. 2012-06-27 VP-BLK No Titles Seen LAS Seen in the company of her sister VQ-BMS at LAS. 2014-06-10 VP-BLK No Titles Seen FLL Sitting near the air service centers near the SW airport corner. Service vehicle and cargo bay aft of the wing (not the tail cargo bay) hatch open with a conveyor belt vehicle. 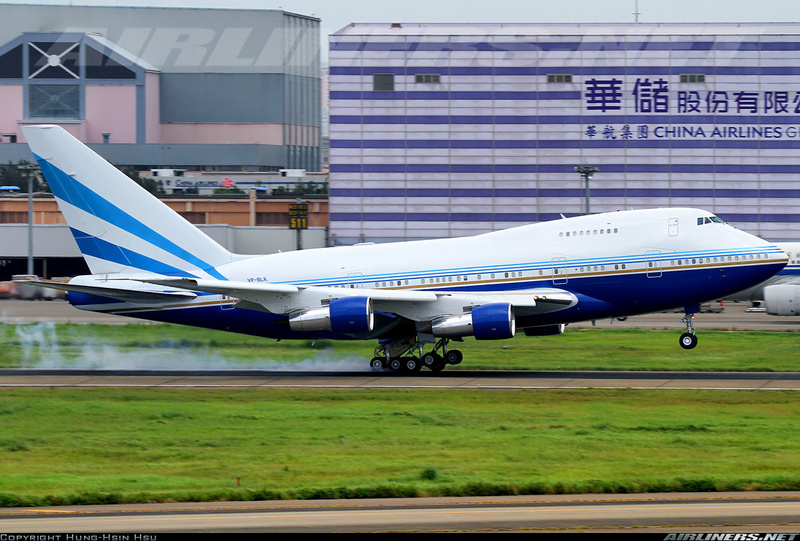 2014-06-27 VP-BLK No Titles Seen TPE Parked remotely on North East side of airport. 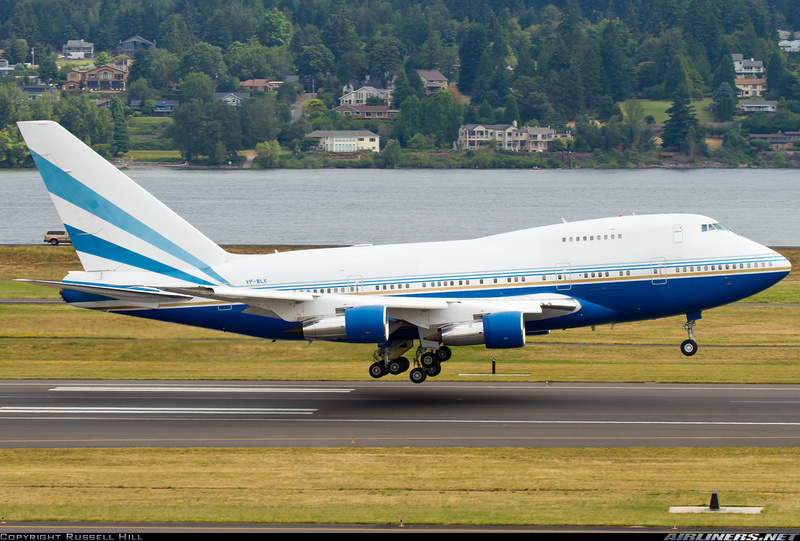 2014-11-09 VP-BLK No Titles Seen HNL Departing today. 2015-06-24 VP-BLK No Titles Seen LAS Landed 11:55 Immaculate Condition. 2015-07-03 VP-BLK No Titles Seen LAS Took Off 25R at 10:30. 2015-11-07 VP-BLK No Titles Seen MZJ Seen with engines removed. 2015-12-28 VP-BLK No Titles Seen LAX Parked at Atlantic Aviation for a few days. 2015-12-28 VP BLK No Titles Seen LAX Taking off at LAX. About 11 pm. 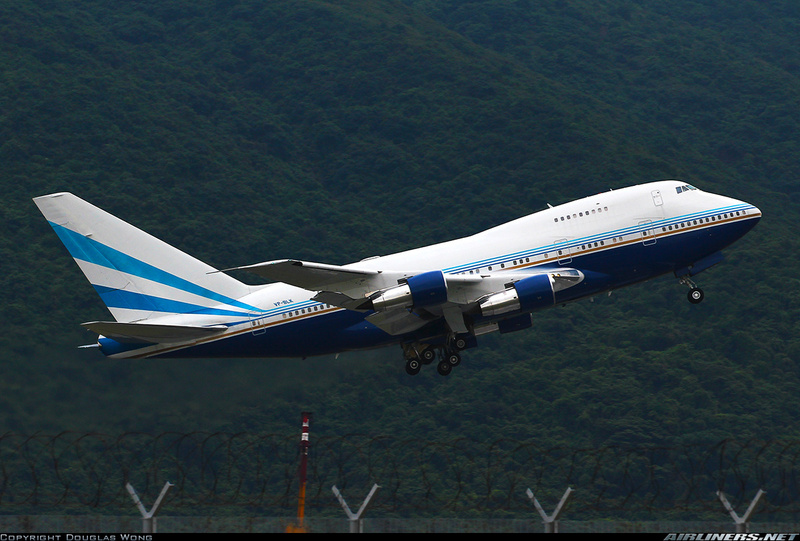 2016-01-15 VP-BLK No Titles Seen ATH Landed at 02:30L inbound from RUH and departed at 15:30L bound for LAS. 2017-09-06 VP-BLK No Titles Flight FCO Noted routing over Belfast, Northern Ireland inbound Europe at 41,000 feet. Landed FCO at 12:00 local time. 2018-06-08 VP-BLK No Titles Seen ATH 14:45LT arrived from TLV. Departed to LCA 18:30LT. 2018-06-23 VP-BLK No titles Seen LCA We parked next to it. I was amazed to see her shine in the sun.